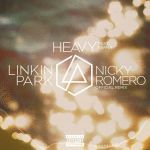 Instrumental 2:49 Heavy Warner Bros.
Nicky Romero Remix 3:29 Heavy Warner Bros.
Disero Remix 3:28 Heavy Warner Bros.
2:49 One More Light Warner Bros.
Holding on ... why is everything so heavy? Keine Ahnung - aber überraschend ... HEAVY klingt überhaupt nicht heavy ... sondern nach solider Radio-Ware ... könnt ich mir auch als EDM vorstellen ... das ist ja echt die Härte! Had no idea that the Kiiara on this is the same Kiiara as the one from Gold! She sounds much better on this. <br>Good solid track even if it is a bit short, at least it doesn't drag. ▒ In mijn ogen een nette, maar géén bijzondere, samenwerking uit ½ februari 2017 tussen de Amerikaanse rock formatie uit Californië: "Linkin Park", en de 21 jarige Amerikaanse zangeres en songschrijfster: "Kiara Saulters", alias: "Kiiara" !!! Maar da's voor iedereen verschillend ☺!!! Netter Pop fürs Radio. Von Linkin Park darf man aber etwas interessantere Musik erwarten. Das hat ja rein gar nichts mit dem üblichen Linkin Park gemein. Geht aber in Ordnung. Das soll LP sein? Naja wenn die Jungs keine Ideen mehr haben, dann kommt sowas dabei raus. Eine 360° Umdrehung. Song ist so interessant wie ein Tag lang die Raufasertapete anzustarren. 2+<br>Beim Titelnamen hat man sich auch einen kleinen Scherz gegönnt. Nach Kuschelrock und EDM erschließen Linkin Park jetzt also den Radiopop für sich - ich könnte gespannter sein. Meines Erachtens auch einfach kein wirklich guter Song für das Genre, mal von der LP-Entfremdung abgesehen. Mit allem, was sie bisher gebracht haben, konnte ich meistens noch mehr oder weniger etwas anfangen. Wenn das ganze Album so klingt, wird es mit Abstand das Schlechteste von LP bisher. Man darf gespannt sein. Niet direct wat ik 'typisch Linkin Park' zou noemen. Op zich niet het slechtste plaatje maar toch ook niet overdreven geweldig. I really like this track. We all know that it isn't really a Linkin Park so if we all pretend that some other artist sung this song instead, it really speaks volumes. The lyrics about thinking of yourself and not around other people really hits some chords and the tone of the instrumental and voices sync up perfectly.<br><br>Like I said, let's all pretend this isn't a Linkin Park song and suddenly this song is amazing! Above all else, at least I'm a big fan of the album's artwork aesthetic. But more crucially they're quite a way from ever coming full circle as they constantly try to reinvent themselves every time. This could be sung/performed by virtually anyone, which shows that possibly in making it sound even more accessible they're hoping for some sort of talent show momentum to piggyback onto. It's a fairly watered down concept of a pop song that could be played in the safest of locations, something which really could not be said about the best of their early work. If I had heard this before knowing it was a Linkin Park song, it would not have made a difference. Nett gemachter Radio-Pop. Das so etwas ausgerechnet von LP kommt, erstaunt doch sehr. was ist das? linkin park?? oh je!!! There's a comparison I want right there, and I just can't grasp it; best I've got for now is 5SOS or One Direction. This is a decent song, but I wish it had a bit more oomph or life to it and then I'd probably be loving it. Gratulation zum 15. Jubiläum.<br>Ansonsten hat es mit der Ursprungs-Thematik kaum noch was zu tun. Da werden die alten Fans wohl vor Wut schäumen, dafür endlich mal was gutes von einer Doppelvokal-Interpretin. Natürlich klingt das in keiner Sekunde nach den Linkin Park, die man sich gewohnt ist. Andererseits klingt es eben auch nicht schlecht, ein angenehmer Popsong, dem ich mehr Erfolg gegönnt hätte. Abgerundete 4. Linkin Park have essentially always been trend chasers. You can say they have some sort of expected loyalty towards nu metal but that's just because it came first in their career span, as soon as that wave died down, they abandoned it and took more cues from Coldplay. In short, they lack integrity and thus it's a lost cause to say they're selling out with this new album because this is totally in line with them.<br><br>Here's my gripe though: In 2014, when Linkin Park were promoting their 6th album "The Hunting Party", that album you may recall was sort of a return to 'RAWWWWK' for them that naturally didn't sell as well and so naturally they have completely abandoned it in 2017. Mike Shinoda got into a bit of trouble when he made an off-hand comment about modern alternative/rock radio which because of lazy journalists got misconstrued, resulting in that hilarious response from CHVRCHES. Mike wasn't saying he didn't like these sugary, light sorts of bands, just that he felt there was too much of it and that the new album was intending to counter the balance. He was quite eloquent about the matter which made you think that there was some genuine honesty behind it and not just cynicism in order to promote the band's 'heavy' album.<br><br>So now this exists and screw you Mike Shinoda. Or maybe I shouldn't be so harsh on him, this is a rare instance where he doesn't seem to have any obvious input into the song (though he is a co-writer), for better or for worse? I'm indifferent. The song is majorly limp though. It feels like Linkin Park trying to avoid their typical motif of a loud crunch with the hook, but they're still writing songs in the same way, so you can hear the obvious void when you get there. Though in saying that, the single after this somehow manages to be worse. de isch a gutes liadl, taugt ma. Ich habe den Song beim Echo gesehen und gehört. Tochter und Papa waren sehr angetan. Gefällt mir recht gut und vielseitig waren Linkin Park schon immer, die Banbreite ist recht gross. Leider nicht so wirklich erfolgreich. LOL, war Linkin Park nicht mal eine Rock-Band?! Das ist jetzt nette und weichgespülte Radio Musik. Höre gerade die neuste Bravo Hits durch und dachte dauernd ich habe das falsche Lied laufen, weil das hört sich überhaupt nicht nach Linkin Park an! Naja, was soll ich sagen? Man kann es anhören, aber das war's dann auch schon! 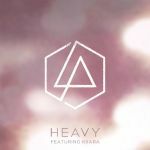 Ein äußerst wuchtiges Meisterwerk, wie alles auf dem Album, Linkin Park werden eben immer besser und haben sich damit selbst übertroffen. I don't mind it. One of the better ones they've had in a long time. Un retour qui a dérouté de nombreux fans, mais qui laissait entrevoir la détresse de Chester Bennington. I'm not a big Linkin Park fan. But I have liked a few of their songs over the years. And though this was a big move towards pop I really loved it. The lyrics now also have more meaning then we all initially understood. Gut. Klar nicht das gewohnte Linkin Park, trotzdem gut. Wunderschön und sooo traurig! RIP Chester! Ok song but not one of their best or most memorable.<br><br>2 weeks in the UK top 100.<br><br>UK#43 and Ireland#70.<br><br>US#45.<br><br>Re-entry:UK#43 July 2017 RIP Chester Bennington. Good song from Linkin Park . Eher eine Pop-Single dieser Rock-Band, aber ein schöner Ohrwurm für die Radiostationen.